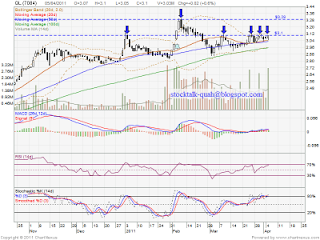 On 5 April 2011, QL is retest RM3.10 resistant level. 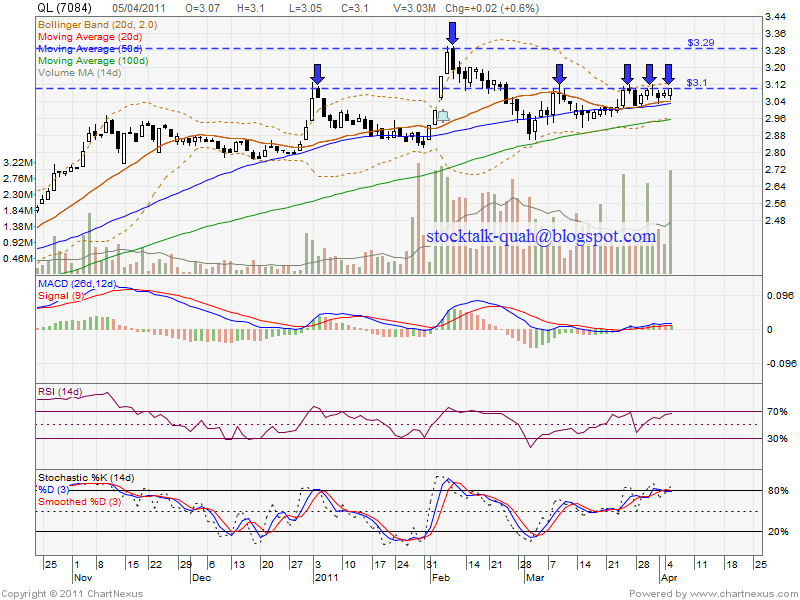 RM3.10 is a strong resistant level, it attempt so many times but unable break up. If able break up this level with huge volume, most analysts will take a position & will retest next level resistant, which is RM3.29 level. However, if retrace down, it might retest RM3.00 & RM2.95 (MA100) support level again.